Thank you again to everyone who attended the Community Visioning Workshops that were held throughout Hamilton County in October. Nearly 100 community members attended the series of four workshops. Also, thank you to the more than 200 people who participated in the online workshop. All the workshop participants shared their valuable ideas and experiences, which is essential to shaping a vision for the future of the Great Parks of Hamilton County! Did you miss the fall workshops? You still have lots of opportunity to participate in the planning process! We invite you to share how you use the Great Parks of Hamilton County system on the story map and look for the Great Parks Comprehensive Master Plan map activity at upcoming community events! For the next several months, the planning team will be analyzing the great feedback we received from the workshops and collecting data to help form preliminary recommendations. In addition to the fall community workshops, our team has been working on a statistically valid survey of community members across Hamilton County, a Strengths-Weaknesses-Opportunities-Threats analysis with Great Parks staff across departments, and a Levels of Service comparison of Great Parks to other parks systems we are similar to, and aspire to be like. 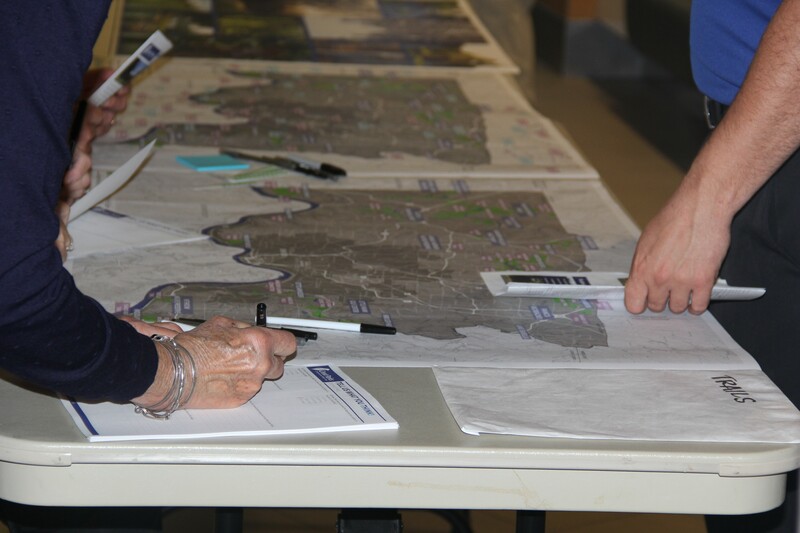 In Spring 2018, community review workshops will be held to present everything we have learned throughout these robust engagement and analysis processes and also to gather community feedback on the direction the plan recommendations will take. To stay up-to-date on the process and get a reminder for the next round of workshops, be sure to sign up for project updates.